I'm not much of a "change the whole house" seasonal decorator (well, besides Christmas... gotta go crazy for Christmas, right?) 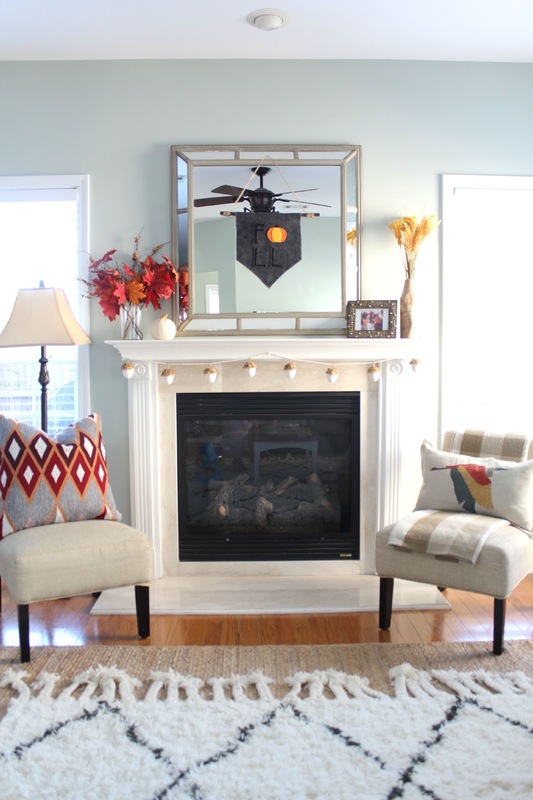 but I do like to make at least one little seasonal spot in my house. 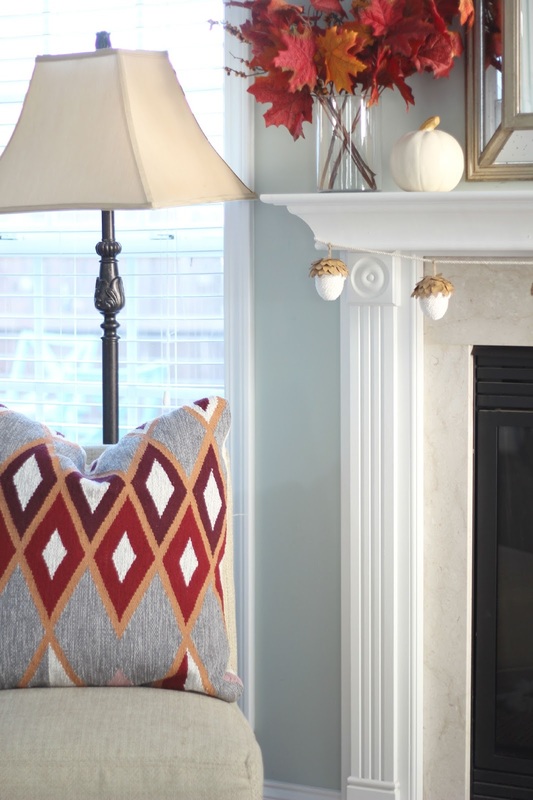 In this house, it tends to be the living room fireplace mantel. 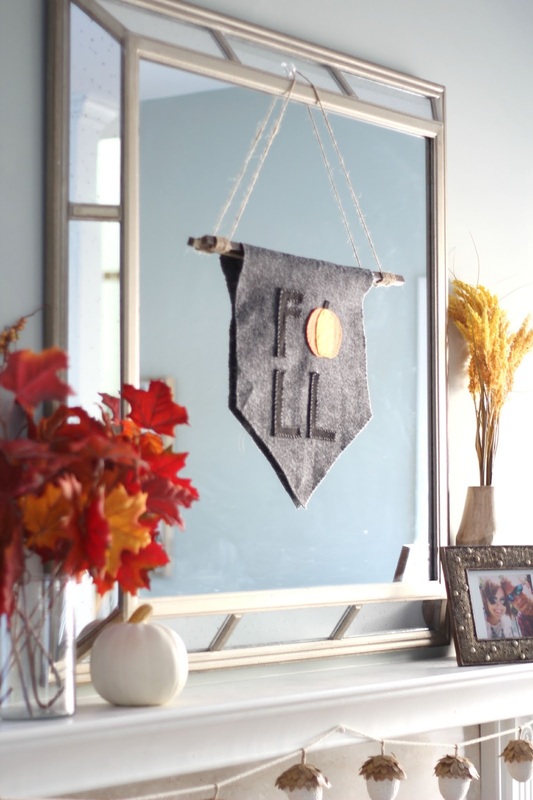 I pulled out some pretty autumn natural elements from my stash, added the cute acorn garland (Target) and crafted up a felt fall pumpkin pennant banner to grace the mirror. All you need for this project is some felt, a sewing needle and thread (if you want to stitch the sides like I did), twine, hot glue and a wooden dowel. 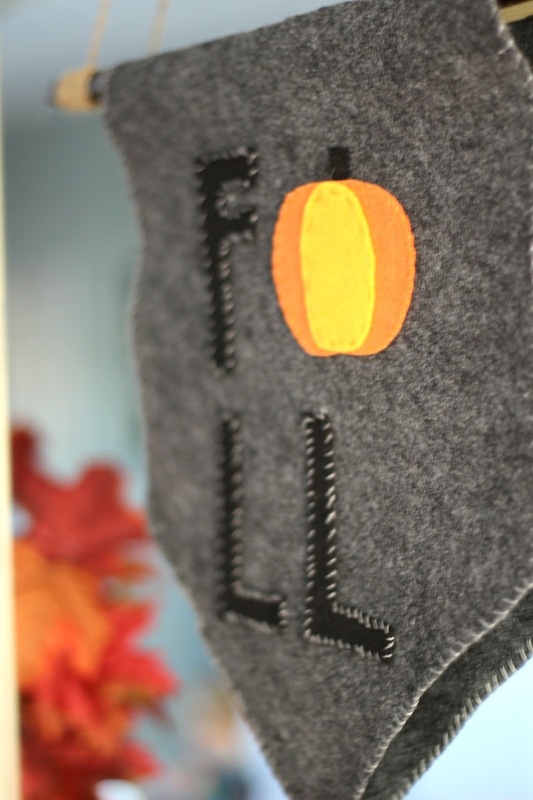 Start off by cutting your felt in a pennant shape. Make sure both sides are even! (I might have had to cut twice, appropriately measured cutting is not one of my skills) Then cut out your letters and pumpkin shape. I freehanded these but you could easily create a quick template by printing a stencil. The next step is optional, but I wanted to spruce up the banner with some extra texture, so I loosely stitched the sides of each piece of felt. It's not perfect, but I think it adds to the rustic, camp-y vibe I was going for. 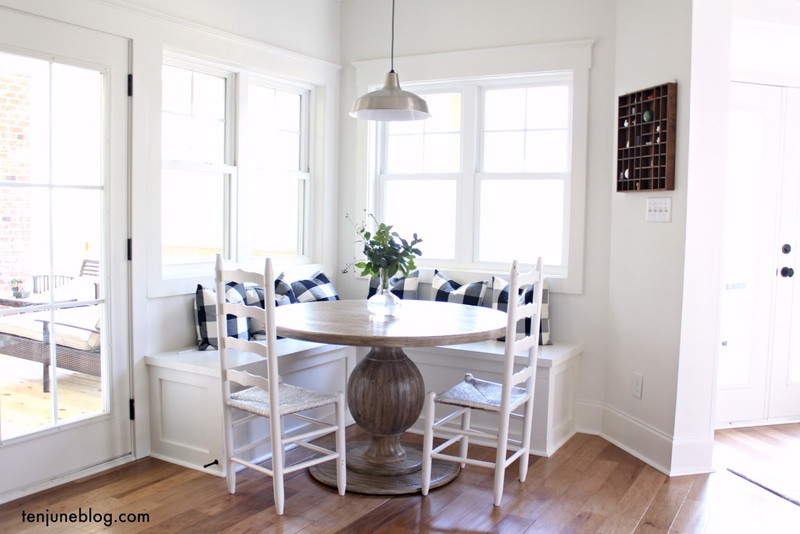 Next up, if you're interested, you can stain the wooden dowel. I used this pen which was super easy. Otherwise, skip forward and hot glue the letters to the pennant and the pennant to the wooden dowel. While that dries, simply wrap the twine around the dowel (I hot glued each end to be sure it stayed put). Once everything dries, it's ready to hang! 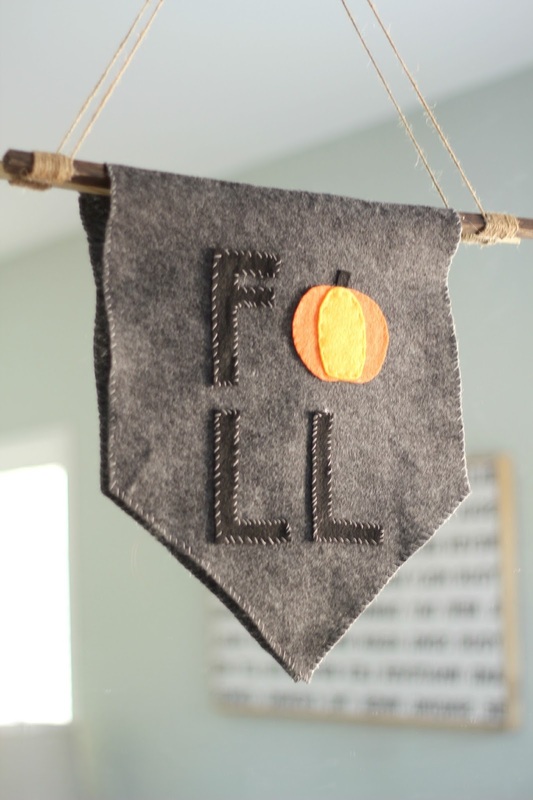 For more of my fall + autumn crafts and decorating ideas, check out this page. Baby + Toddler + Kid Fall Style and $50 For You!